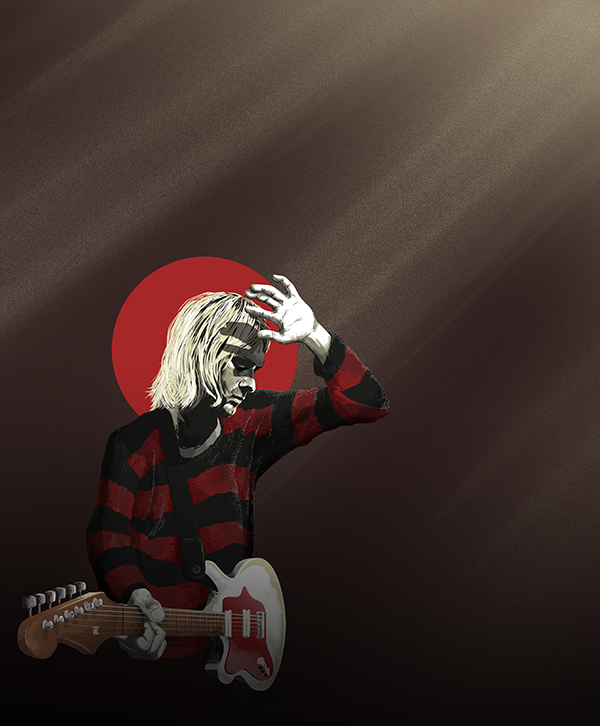 Kurt Cobain, latest edition to the personal project I’m working on illustrating members of the eponymous group of musicians of the 27 Club. I'm an illustrator based on the outskirts of Leeds UK, a graduate of the Bradford Collage of Art & Design, with over 15 years experience working for a number of Yorkshires lead… Show more. Send a message directly to Mark Frudd. I'm an illustrator based on the outskirts of Leeds UK, a graduate of the Bradford Collage of Art & Design, with over 15 years experience working for a number of Yorkshires leading design and marketing agencies. Since 2013 I have focussed on my passion for illustration, creating colourful, imaginative, concept driven works for a number of clients across the UK and abroad. Please contact Mark directly regarding your commission or collaboration.